Stressed Out: How will Vietnam’s Unique Flat-Leaved Pine Respond to Climate Change? Stephanie Schmiege, a Ph.D. candidate at the Commodore Matthew Perry Graduate Studies Program of The New York Botanical Garden and at the Department of Ecology, Evolution and Environmental Biology of Columbia University, is researching response of conifers to environmental stress under the direction of Drs. Dennis Stevenson and Kevin Griffin. The unique flattened leaf morphology of Pinus krempfii. 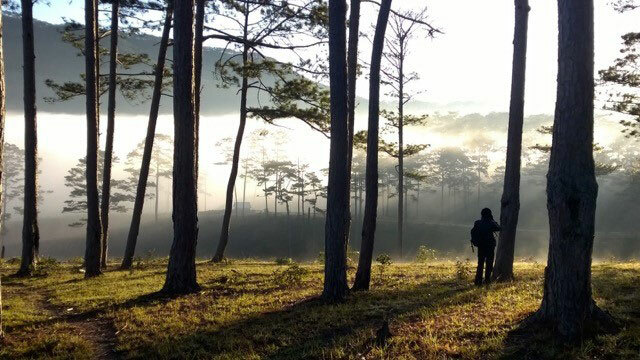 The Central Highlands of Vietnam are home to the world’s only known flat-leaved pine. Endemic to this area, Pinus krempfii was first discovered by French botanists, who were astounded by its unique leaves and even confused it with species from an entirely different family. Not only is it the only known pine with flat leaves, it is the only pine we know of that successfully survives in dense tropical forests. 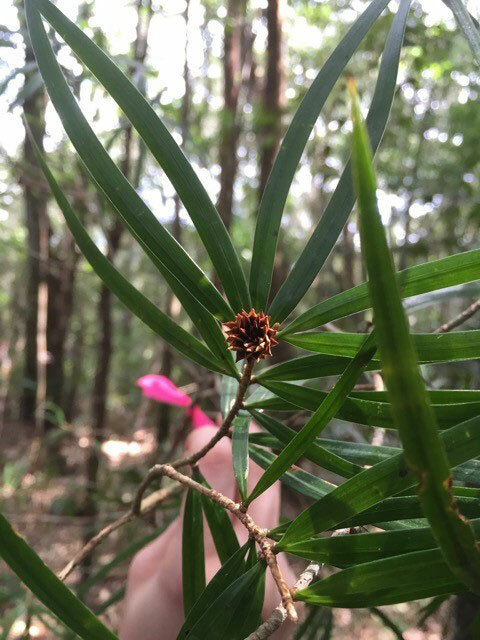 Scientists think that the flattened leaves may allow Pinus krempfii to absorb more light than most needle-leaved pines, which in turn facilitates its success in the tropics. However, flattened leaves require vulnerable tissues to transport water throughout the leaves. This trade-off may leave Pinus krempfii susceptible to changes in climate, particularly drought stress. Climate models for Southeast Asia forecast increasingly long dry periods. How will Pinus krempfii respond to increasing drought stress? Will the unique leaves that have assisted its survival in the tropics prove to be its undoing?